On Sunday December 18 at 4.30pm the Tonhalle will host another concert in the series "Ehring goes to a concert". So Tonhalle director Michael Becker thought he was the perfect person to invite along to host a series of concerts. The first we saw, a few weeks ago featured the music of Bach. It was a beautiful concert and Ehring's input were both funny and most informative. Yes this is all in German, but I know that many of you are learning the language and is there a better way to learn than to both hear and see? This Sunday, a very varied programme is given the chance to seep into our souls. 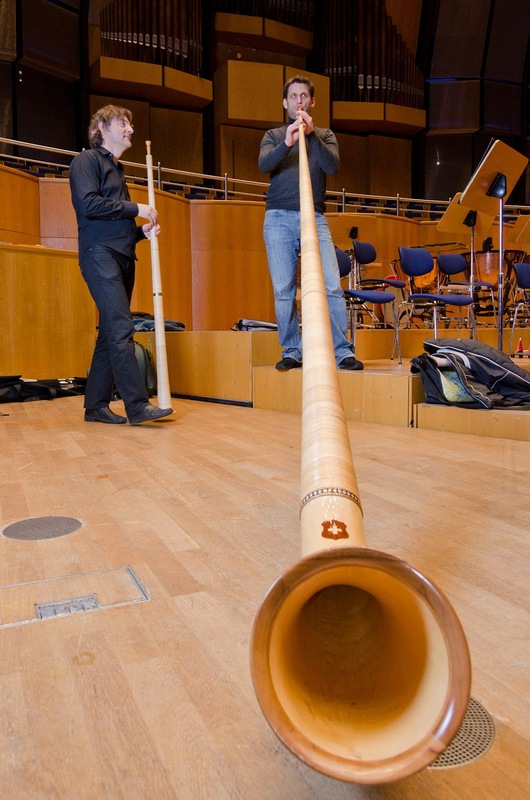 Ehring will also introduce Arkadi Shikloper, a Russian alphorn player (?!) - intriguing stuff!! There are still a few tickets available, you can reserve here.